This morning I’m puzzling over what hardware to use on my G&G cabinet. Specifically, the pull/latch combination. I’m trying to get my ducks in a row so I don’t get blocked on finishing the cabinet in the next week or two. Option number 1 is to use a knob and latch combination. To hold the door closed I’d probably use either a small wooden stop block with a rare earth magnet or a double ball catch. The magnet is simple and not at all fussy to install, but looks a little clunky when the door is opened. The double ball catch is a little trickier to get installed right, but is visually nicer. It serves as both a stop and a latch, and having installed one on the coffee cup cabinet I made I’m confident I could do it (and do a better job). That leaves the knob or pull to sort out. 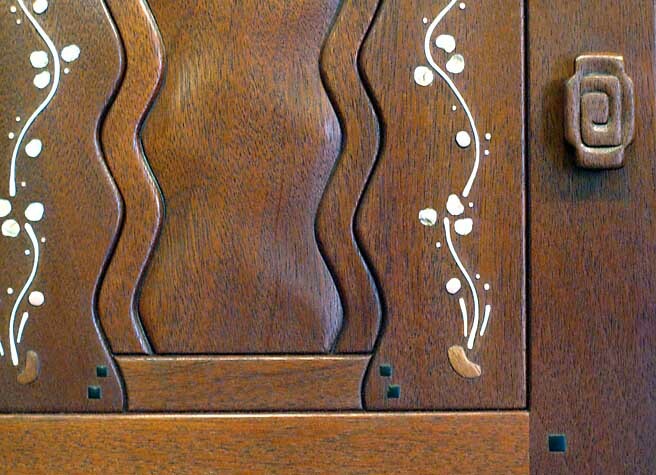 On the design I’m copying from Dale Barnard, he used a pull he has made locally that looks similar to the latches used on several Greene & Greene kitchens. I like the look, although in the video the latch looks like it’s attached on the inside with largish threaded studs and hex nuts. I don’t care for that, and the price is a little more than I’d like to spend. But it looks really nice in place on the cabinet. Behind door number two is using a more original approach. 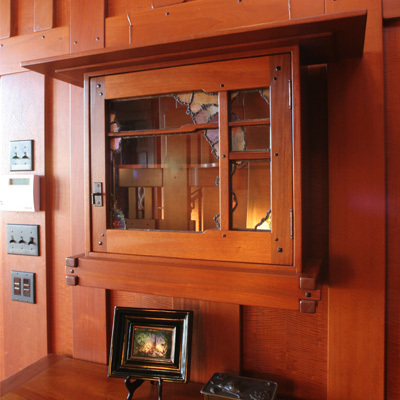 The original cabinet in the Thorsen house — and indeed most cabinet doors in similar G&G furniture — used keyed locks with carved wood escutcheons and key handles. 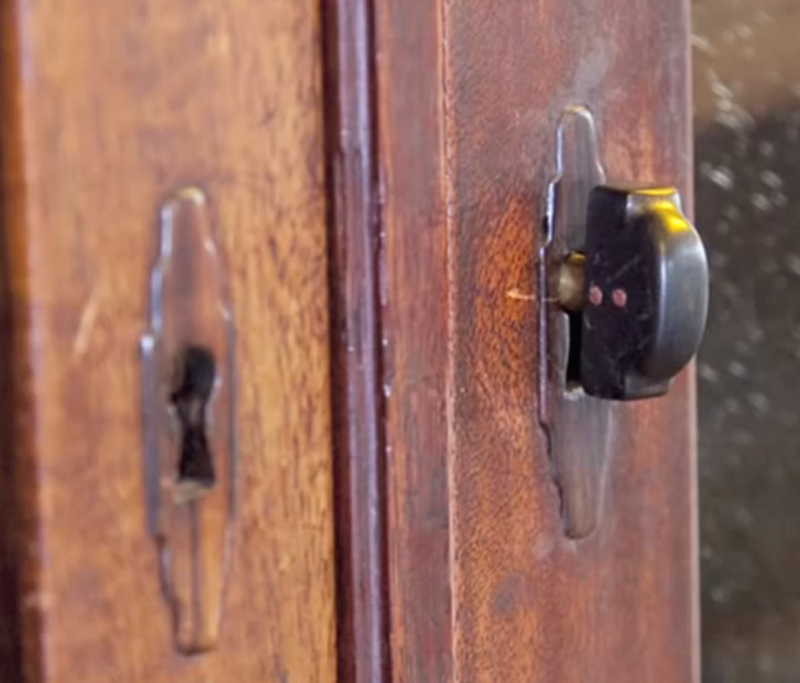 Escutchions and key on cabinet doors. I like this look a lot, but it presents several challenges. 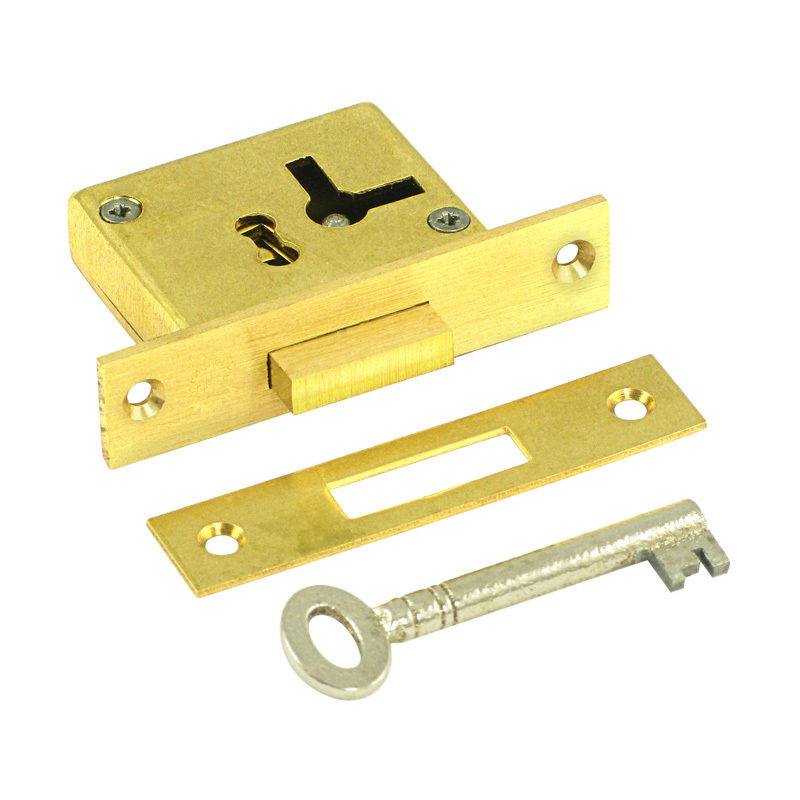 I’ve looked at full- and half-mortise lock sets, and the backspacing (distance from the edge of the door to the center of the key barrel) for ones that would fit in a 2″ wide stile is only 5/8″ — which puts the key and escutcheon fairly close to the edge of the door. 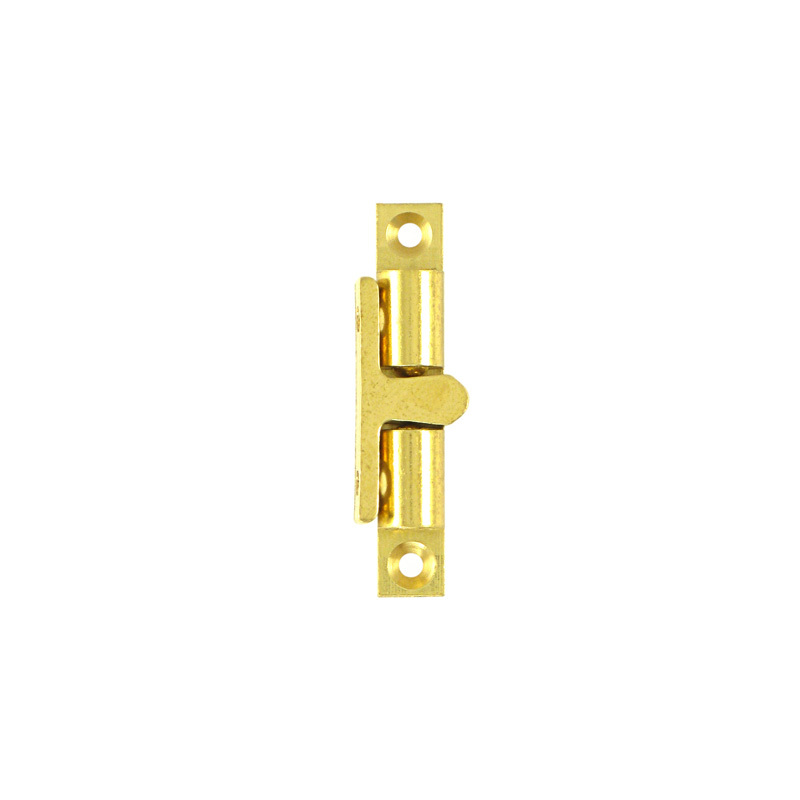 It also presents more technical challenges, like shaping and inlaying the escutcheon. Mortising the lock itself doesn’t overly concern me, but doing a clean job on the inlay is a little worrying. And with the lock approach I still need to provide a backstop for the door. I’m open to suggestions, especially if you see a better alternative. Right now my thinking is to do a sample escutcheon and inlay it into a piece of scrap to work out the details. That should give me a better perspective on the process. 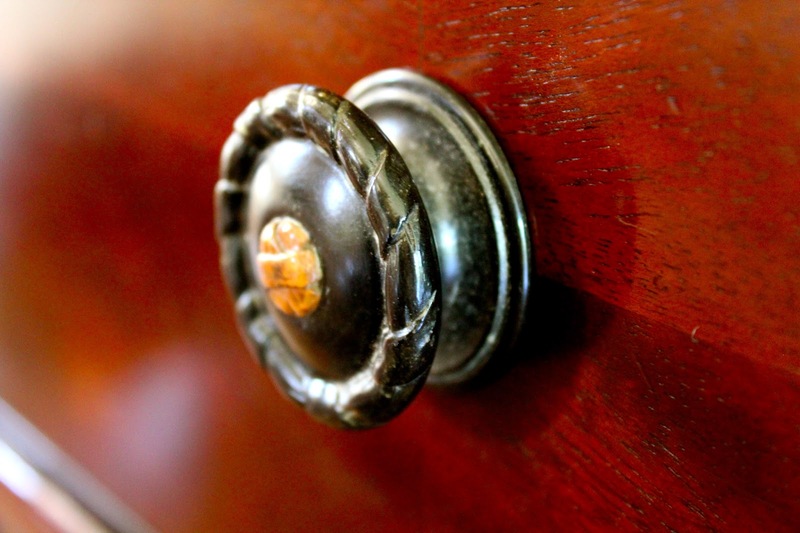 Go with the Dale knob – have you thought of making your own? It’s seems to me from the opening pic on the blog that somewhere in that mass of machinery you should be able to pull this off. If not metal, how about one in ebony? Ebony seems to be a G/G favorite. That’s my gut feel too. I expect I could probably make the same knob myself, but in the interests of getting it done I might just order the ready-made deal. But the inlaid escutcheon is pretty cool too. Good idea to make a sample escutcheon before you decide. Even if you choose not to use it for this cabinet it will be another option for future work. I had pretty good results making a pair of escutcheons with minimal tooling, my first time out. I sawed out the ebony plate from a very thin blank (about 3/32″) with a jewelers’ saw, traced it on the door with an x-acto knife, and excavated the recess with small chisels, on my kitchen table. I didn’t have a palm router at the time so I avoided getting myself into trouble with that, although now I might use one with a 1/16″ bit for the bulk of the excavation. This was 10 years ago, so I’m trying to remember, but I certainly didn’t have a little router plane. I probably just used a small chisel with the bevel down on the surface of the work. I still do that all the time. I’m sure the result wasn’t perfect but it’s not a high-stress joint after all.